We stepped out of our tent to look at the clear blue skies and the silver clouds drifting across. The sun had still not risen. The distant snow clad peaks shimmered from the light at the daybreak as the golden sky kissed the peaks. The chirping of birds and the ruffling of the leaves by the wind were the only sounds that could be heard. The thick foliage of the trees and undulating slopes with a carpet of velvet green grass made the environment truly romantic! My wife was beside me. We were married less than a week earlier. 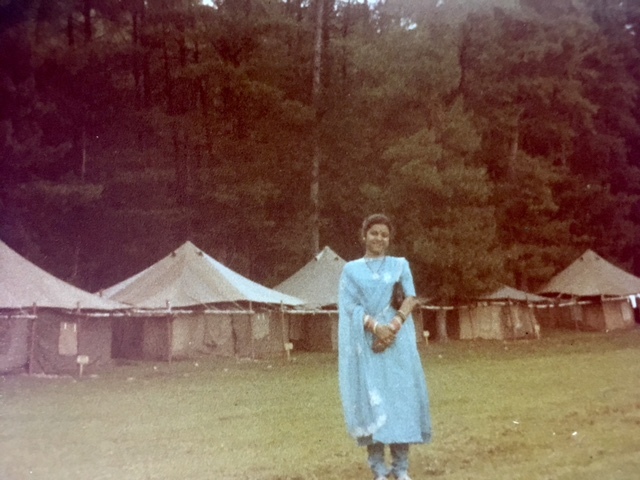 The location was somewhere off Pahalgam at the Army Adventure Camp. We had arrived there the previous evening after gathering the details of the place from the Transit camp at Srinagar. 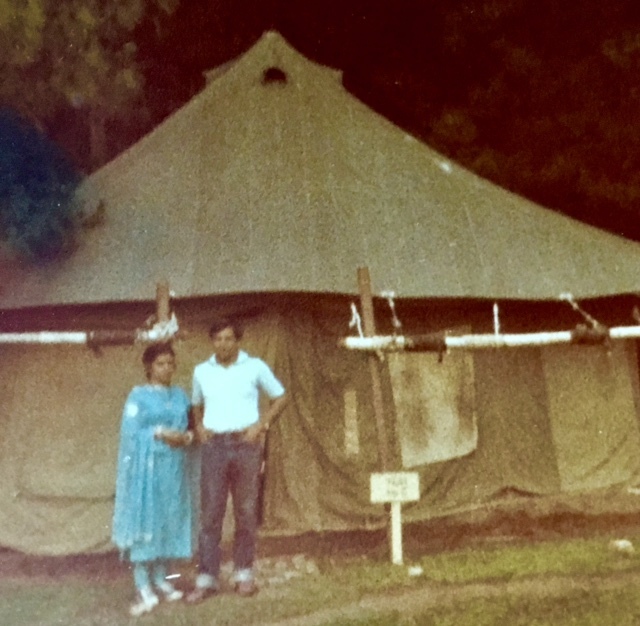 There was a cluster of olive-green tents for accommodation in the midst of the jungle where a sparkling river flowed. ‘Hello! How are you doing?’ a voice from behind our backs started us. A tall Sikh gentleman almost six foot high with a silver beard and a rucksack on his back looked at us as he smiled. ‘We are fine sir, ‘I replied. ‘I am Col Manjeet Singh, retired from the Army in 1971 ‘he introduced himself. 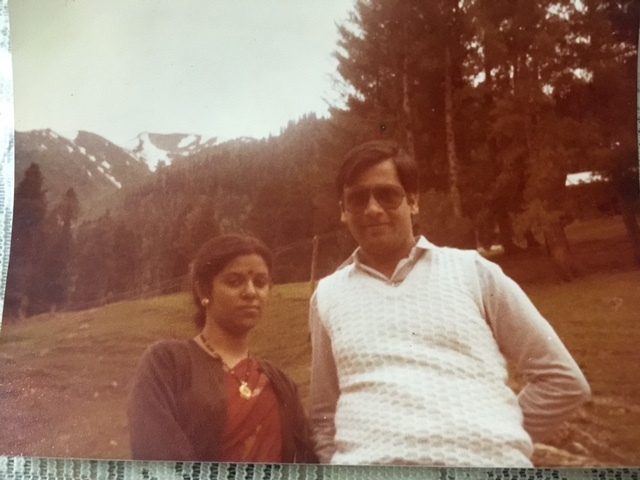 We too introduced ourselves and he was amazed that just after our marriage we were there. We too were equally amazed to see the spirited retired Army officer roughing it out, full of zest. He had a married daughter who was settled abroad and his wife had passed away a few years ago. 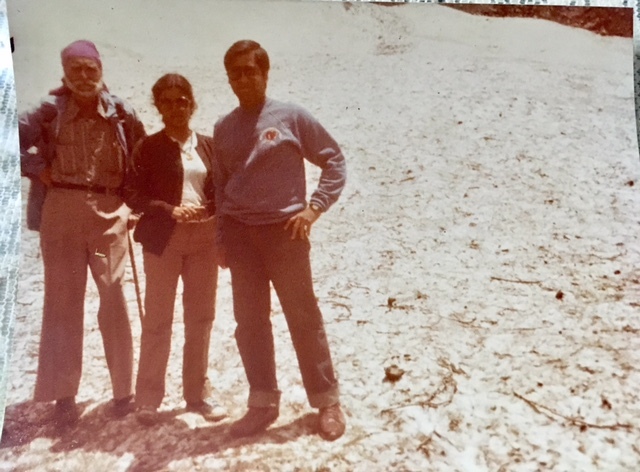 He was an avid traveler and fond of trekking. He was planning to leave for Chandanwadi which was about 16 km from the camp.’ Wow! What a coincidence! We too are leaving an hour from now’ I told him. He had interesting experiences to share as we chatted with him over the breakfast of aloo poori and tea prepared for us by the mess havaldar. It was very well prepared and after polishing off the breakfast we got our packed lunch from him and left. The colonel was in a fit physical shape and soon overtook us. 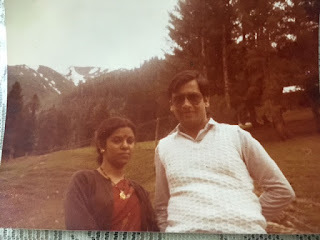 My wife was still to get used to the new way of life and with a high level of energy, we both continued meandering through the unfamiliar path. Soon we reached a hilltop as we had strayed from the track. Luckily a local girl who was grazing sheep came to our rescue and we were back on track again! After four hours we reached Chandanwadi and saw a lot of people having tea and lunch in dhabas. They were going on pilgrimage to Amarnath. It was good to see human faces again! Col Singh was there too and waved at us. He had reached more than an hour earlier and was enjoying his lunch. We ordered tea and then opened our packed lunch as we were almost famished after the trek. Chandanwadi was a small hamlet with a few dhabas where people usually had sojourn en route to Amarnath. The wind was chilly and the spray of water from the gushing water rivulet nearby added to the beauty. We rested for an hour and Col Singh bid us goodbye as he started the return journey. I asked my wife if she was willing to walk back. ‘Sure, ‘if the old Sardarji can do it I too can’ she replied. So we started our trek back. We completed more than halfway when I realized that I was being unfair. Just because my wife had agreed to rough out with me did not imply that she would do all the soldiering from week one of our marriage. I looked around and found a truck passing by. I waved at him and the driver stopped at a little distance. He asked us to hop in as he was headed in the direction of Pahalgam. My wife was tired after the long trek. I felt proud of her achievement and seeing her inspired by Col Singh. Later in the evening, we enjoyed a campfire with him and others who too had joined. 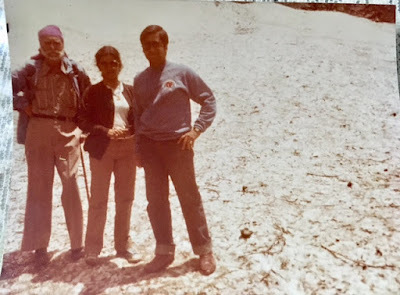 It feels so good to write about old trips and treks! This is a beautiful account of one of your first trips after marriage. That first pic and the first para description, I don't know, for some reason reminded me of the movie Roja. Col Singh a spirited man indeed. Great memories and how lovely to see those old photos. Thanks a lot, Lady Fi for reading and your kind comment. The pictures are amazing and complement the write-up so well. One of the most beautiful travelogues I have read in a long long time. So delighted that you liked the post, Arti! A sincere thanks. Have read about Chandanwadi Trek. It's a great! Wanna visit. Your memories are still fresh. How wonderfully you have expressed details about your trip! Welcome to my blog and thanks for your kind comment. Wil definitely visit your blog!